In 2016 the National Governance Association celebrated its 10-year anniversary. We paid tribute to those who had the vision to create one charity to represent and support the governors and trustees of England’s state schools, and made the time to make that happen in 2006. One thing that has not changed at NGA since 2006 is our mission: to improve the wellbeing of children and young people in England by promoting high standards in schools and improving the effectiveness of their governance. Since our inception in 2006, and under the direction of our board of trustees and 3 Chief Executives, we are proud to have grown into the leading voice for school governors and trustees across England. Beginning with a very small staff team in 2006, NGA has grown to have over 55,000 members, 21 staff and 26 consultants. NGA now has over a quarter of state schools in England in membership, so there is still room for many more to join us. Landmark publications, including the bi-monthly Governing Matters membership magazine, Welcome to Governance , The Chair’s Handbook, and Welcome to a Multi Academy Trust. Nevertheless, the anniversary celebrations are not just about the work and growth of the NGA. They are about saluting all those who give their time to govern and Growing Governance across the sector; whether this means growing capacity and improving outcomes for pupils in individual schools, or growing the profile and representing the views of governance on a national stage. This 10-year milestone is an opportunity for us to consider the place of governors and trustees in today’s education system, to take stock, and to look forward to growing the profile of governance as well as continuing to spread good practice over the coming years. 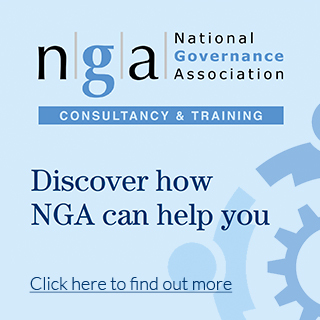 “NGA throughout its 10-year history has played a significant role supporting school governors, trustees and clerks. 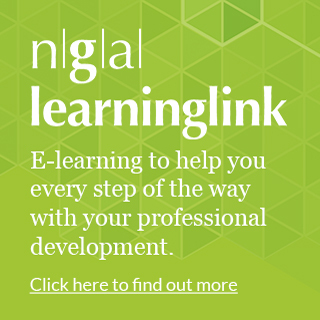 It has been our pleasure to work with NGA for much of this time, particularly in providing legal support to NGA members through the GOLDline service alongside the NGA advice team.” Richard Freeth, Partner, Browne Jacobson LLP.